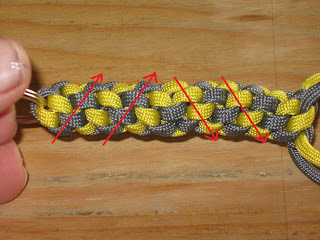 I took two pieces of paracord in two different colors. I used 6 feet of each color. 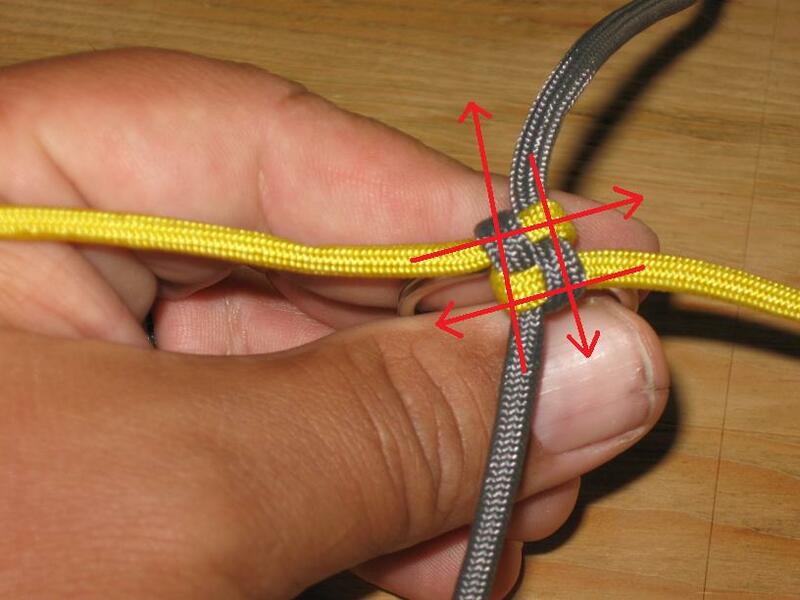 Start by finding the center of your two pieces of paracord. Place a key ring in the center of your two cords. Take your cords and form an X. With the cord on the BOTTOM of the X you will form two loops. It is important to note that in the loops there is an 'open' end and a 'closed' end of the loop. 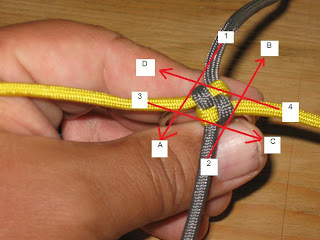 The 'closed' end of the loop comes from the knot, and the 'open' end is the working or running end... You need to know the difference or you will not be able to tighten the knots. Here I formed the loops with the GREY cord. 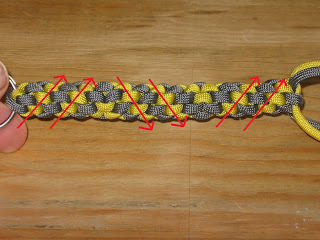 The YELLOW cord is running through the loops and is ON TOP OF the GREY cord. 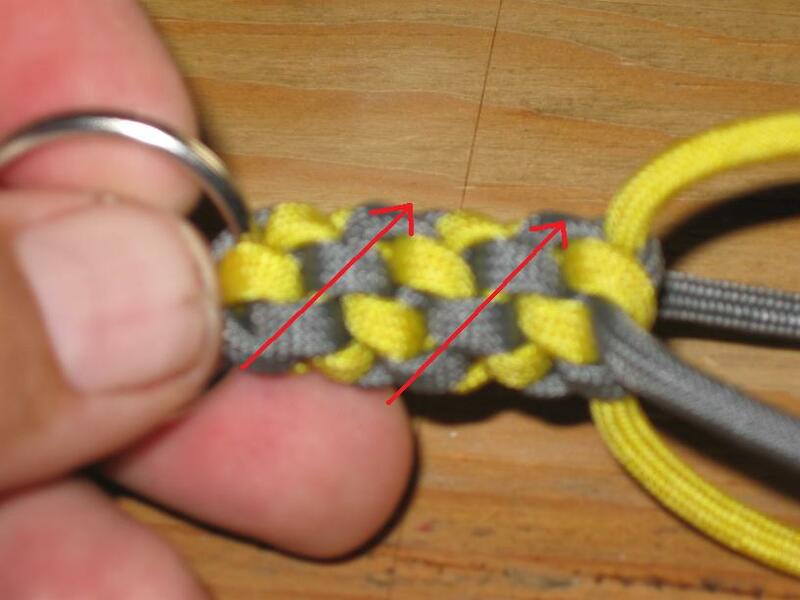 Now take the YELLOW cords and you will go OVER the 'open' end and THROUGH the 'closed' end of the GREY loops. Pull all the cords tight. At this point you have just made a BOX STITCH. 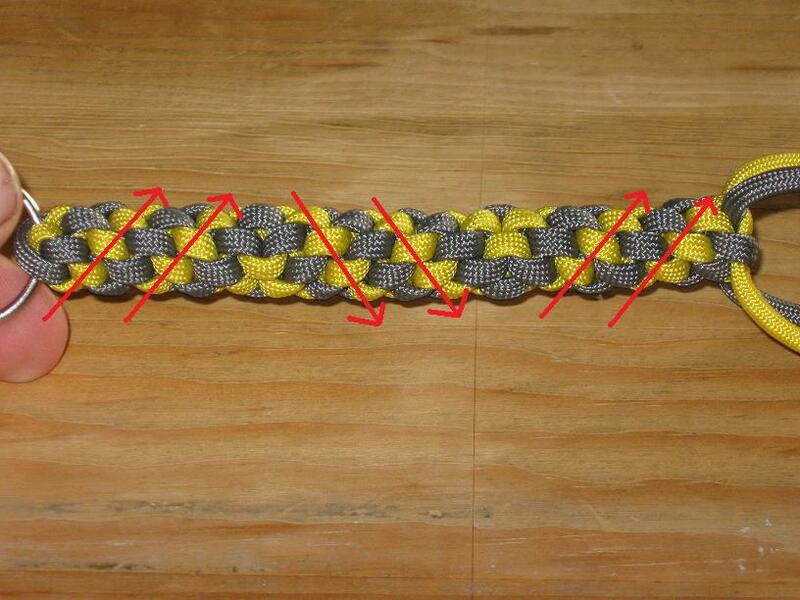 In the BARREL STITCH you will cross diagonally across the knot. This forms the twists. 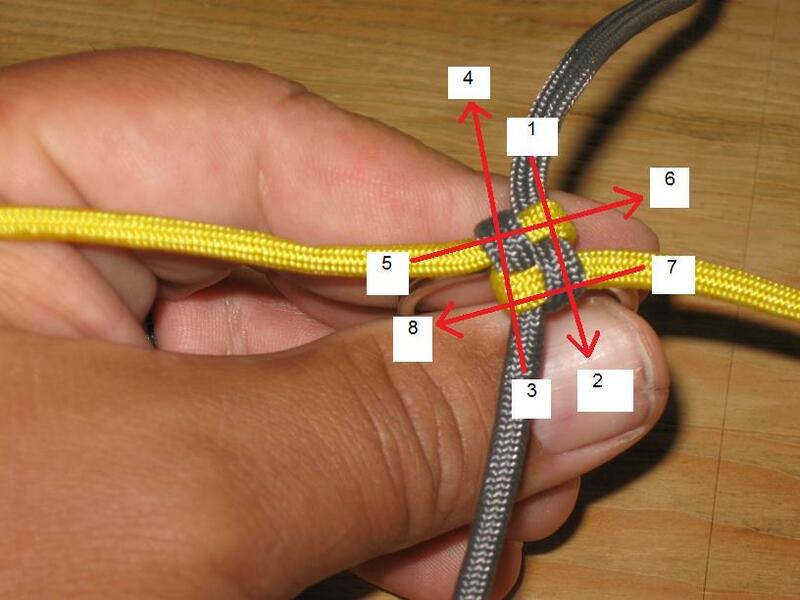 So the #1 cord will go in between cords #2 & #3 to position #A. Cord #2 will go in between cords #1 & #4 to position #B. Cord #3 will go in OVER and UNDER to position #C, and cord #4 will go OVER and UNDER to #D position. Pull all the cords tight. Continue this step for as long as you like. In my example I did ten barrel stitches. Here you can see the twists forming. When you are ready to change directions, just do one BOX STITCH. And now start the BARREL STITCH again. But you will see the direction of the twist will be going the opposite direction. You should do the same number of Barrel Stitches as you did before... so ten stitches in the other direction. Here you can see the twist going in the opposite direction. Presented by Carry on luggage, Columbus Hotels, SharePoint, Designed by Dedicated Server Hosting.